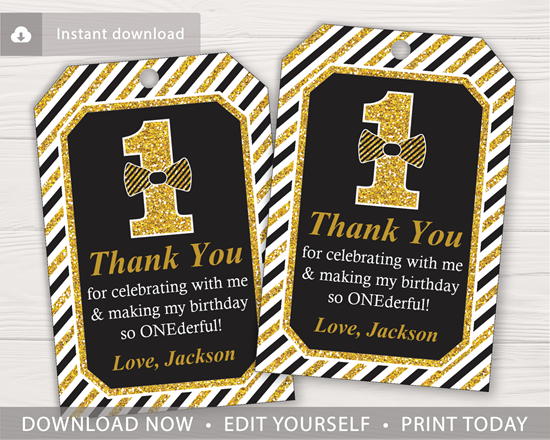 These editable and printable favor tags are perfect for a little boy's Mr. ONEderful birthday party themed in black and gold! 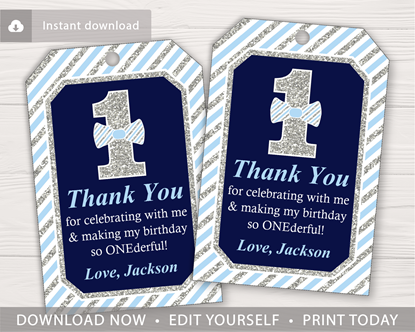 The favor tags are available to download immediately after purchasing. Edit online with Corjl.com using your computer, phone, or tablet. No software is required. You can print as many as you need!